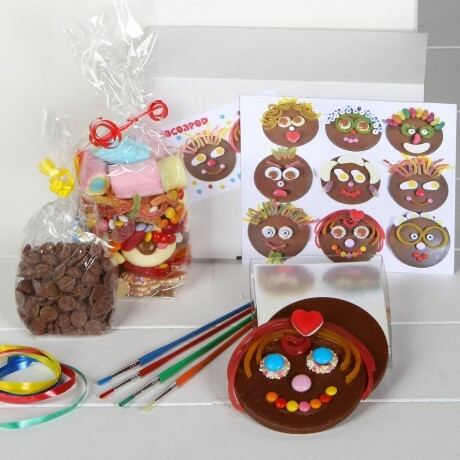 A lovely gift for children with this fun chocolate kit. Perfect for children's parties with lots of chocolate and sweets. Each kit will make 4 funny faces. 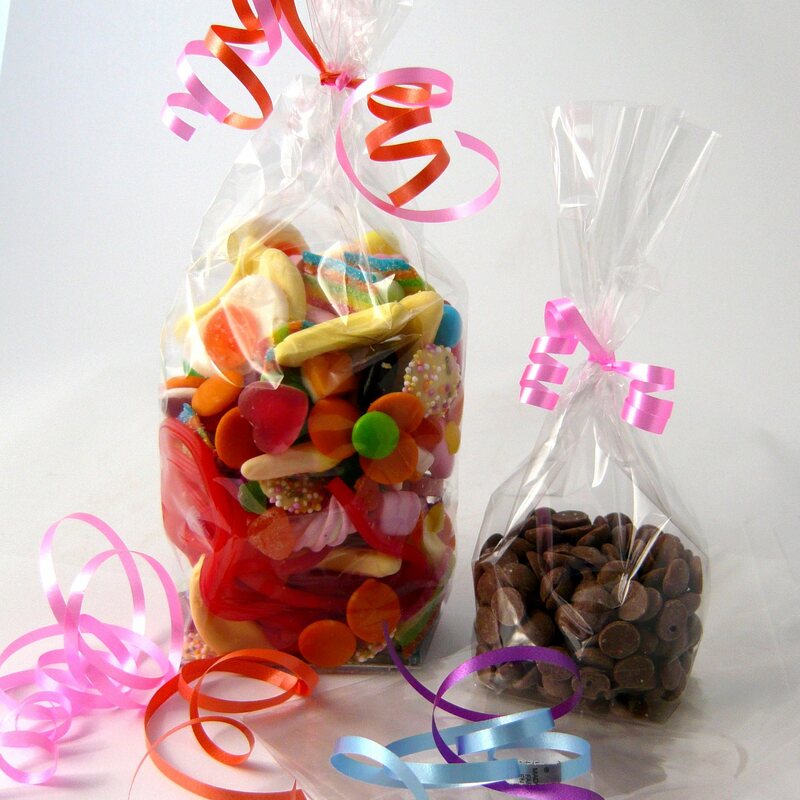 Or do you need a corporate team bonding activity? 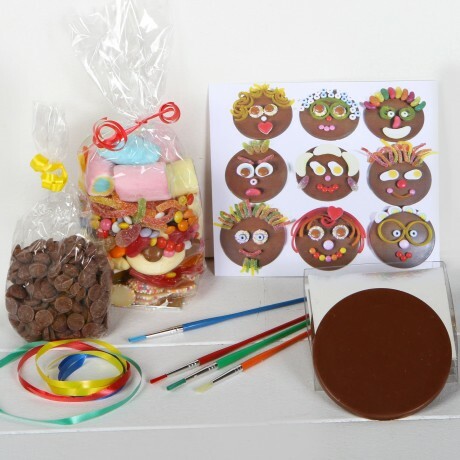 Everyone would love this kit for a chocolatey, artisitic fun day. 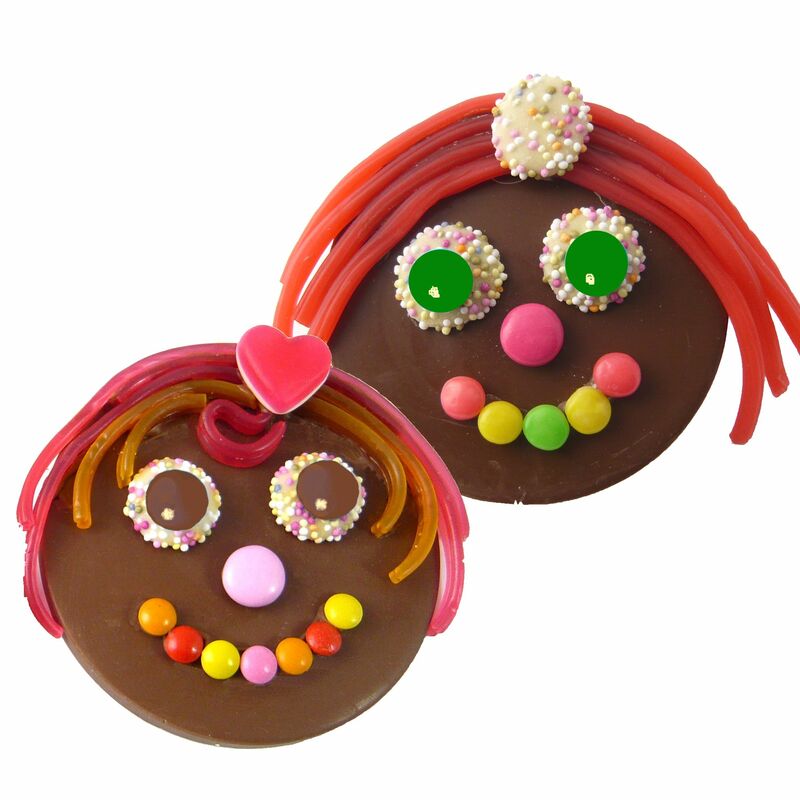 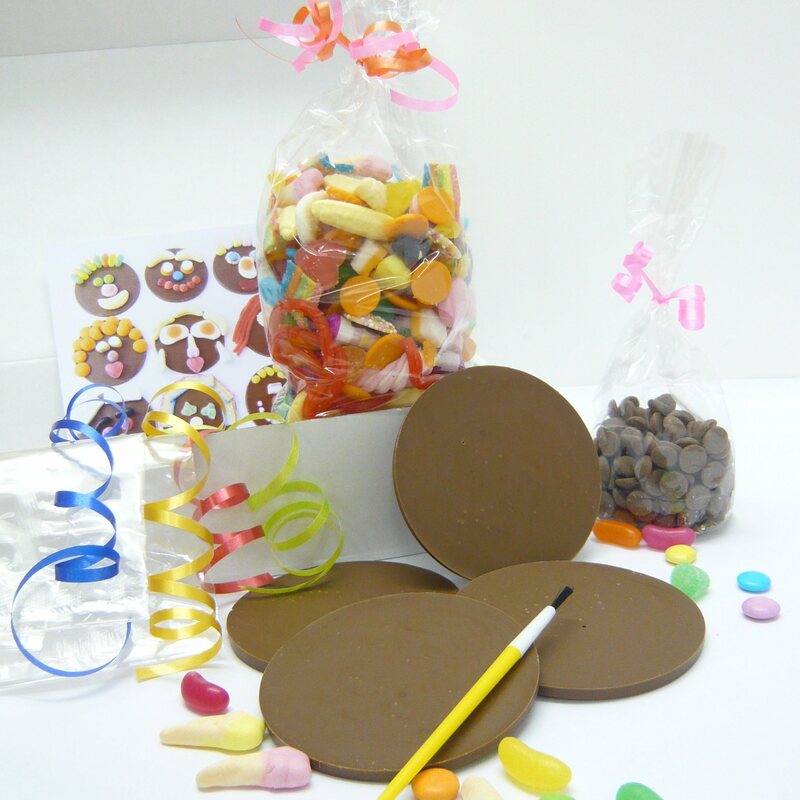 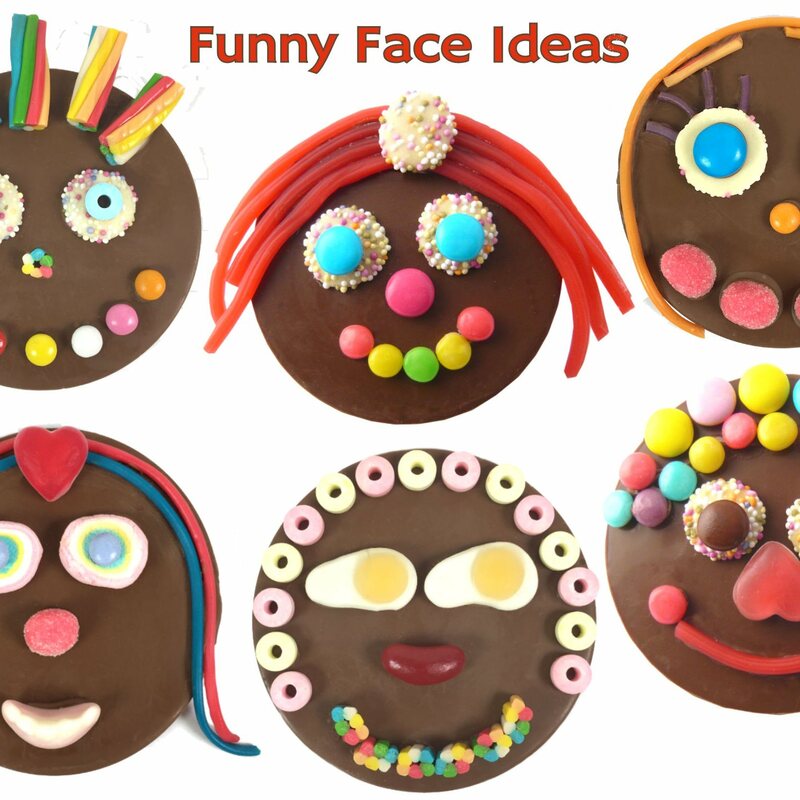 The Funny Faces kit contains four milk chocolate discs (40g each), an extremely generous bag of mixed sweets (300g) for sticking; in fact we have supplied many more than is needed because we know that as you stick one you eat a few too! Also included is a bag of milk chocolate (100g) for melting and sticking, four brushes, four cellophane bags and ribbons (just in case the FunnyFaces don't get eaten straight away), an ideas photo and instructions.